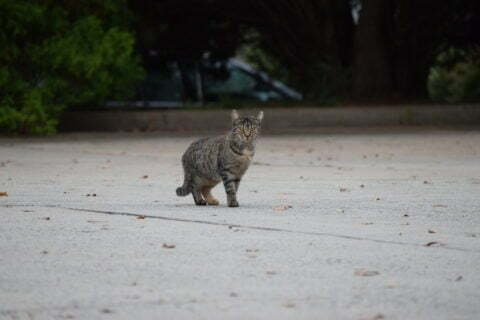 Any free-roaming cat seen outdoors could be considered a community cat. Some may have owners that allow them to wander outdoors, but many appear to be un-owned, either stray or feral. Some community cats are friendly, but truly feral cats would be unable to adjust to living indoors. If you are seeking to adopt a cat as a pet, visit our adoption page. Call or email us to get more information about the Community Cats Project, 704-494-7717 or communitycats@humanecharlotte.org. 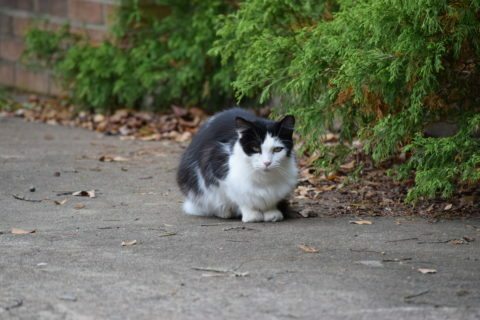 If you are a colony caretaker or actively TNR cats, please consider registering your colony locations with us at https://www.catstats.org/charlotte. We can more easily learn who is taking care of a colony and can more easily track TNR efforts across the area. Caretakers should make sure the feeding area is kept clean. Only feed as much food as the cats can eat in one sitting. Remove all trash, food, and bowls within thirty minutes. This will keep from attracting wildlife. Plus, neighbors are more tolerant of a tidy property. You should also keep track of how many cats are in a colony and make sure any new additions are taken for spay/neuter. If you are frustrated with community cats or problems stemming from them, we can help! Contact our Community Cat Coordinator to find out which effective deterrents will work for your situation. Many deterrents are free or low cost. Options vary according to the complaint. For example, cats digging in a garden are often humanely stopped with leftover coffee grounds because cats do not like the scent of coffee. Our coordinator will also share additional perks of such deterrents, such as how the coffee grounds also serve double duty as healthy garden fertilizer. Some humane deterrents, such as motion-activated sprinklers or audible devices, are available for loan from Charlotte Mecklenburg Animal Care and Control at 8315 Byrum Drive, Charlotte, NC 28217. You can also purchase similar devices from online retailers such as Amazon.